John Nolan, aged 70, died in hospital on 17 September after sustaining serious injuries while out walking. POLICE IN LONDON are appealing for information about an Irish man who died in London from serious burns after he was found on fire. Police and emergency services were called to the scene of the fire at Williams House, Orchard Place in North London on 17 September. When they arrived, they found John Nolan, aged 70, ablaze. The fire was quickly extinguished by London Fire Brigade (LFB) and Nolan was taken to a specialist hospital by London’s Air Ambulance. Nolan sustained serious burns and subsequently died. A post-mortem examination on 27 September determined that Nolan died as a result of severe burns. The cause of the blaze was investigated by specialist LFB investigators. However, no accelerant was found. Detectives have launched an investigation into Nolan’s death to establish the circumstances surrounding the blaze. Police have said they are treating his death as unexplained and no arrests have been made. John was originally from Mayo but had been living in London since 1960s. He was in poor health but was active in his area. Speaking to TheJournal.ie in September, John’s nephew Kevin Byrne said that the family were all devastated following his death and didn’t know what happened to him. He appealed to anyone with information to come forward. “We were just worried that a frail, elderly man was attacked on the street,” he said. “We just don’t know what happened to him and we’d like to know. I just want to appeal to anyone who is in the area who might have seen something to come forward… It was a terrible way to go. Kevin described John as “a very content man” who was well-liked in his area. Police in London are also appealing for information and witnesses to the fire. The investigating officer, PC Damien Ait-Amer said: “We have spoken with a number of witnesses who saw Mr Nolan ablaze, but we have yet to establish how the fire started. Mr Nolan was a well-liked member of the community and none of our enquiries so far have indicated that he had been involved in a dispute of any sort. Anyone who witnessed the incident but has yet to speak with police is urged to call PC Damien Ait-Amer via 101, or tweet information to police at @MetCC. 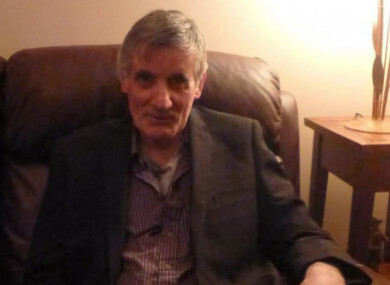 Email “'A terrible way to go': Police appeal for info after death of Irish pensioner found on fire in London”. Feedback on “'A terrible way to go': Police appeal for info after death of Irish pensioner found on fire in London”.